Well 2018 has come around very fast again -- this year we started our show season at Proston in March. We were proud of our team as it was the first outing for a few and they performed well -- the notable results were Reserve Senior Euro Bull with Midas Laramie L045 and the Reserve Senior Euro cow with Midas Elsa M009. 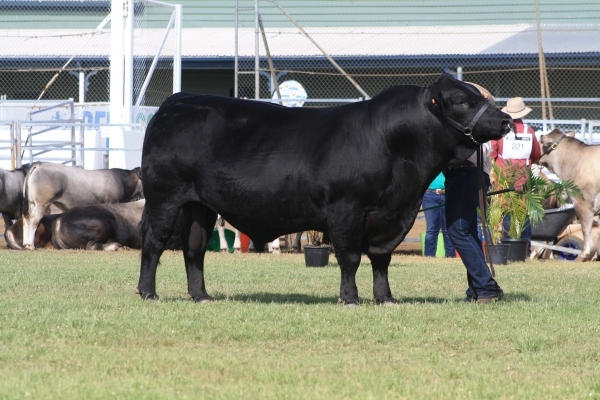 Our next outing was at Goomeri where all were judged under the interbreed process. 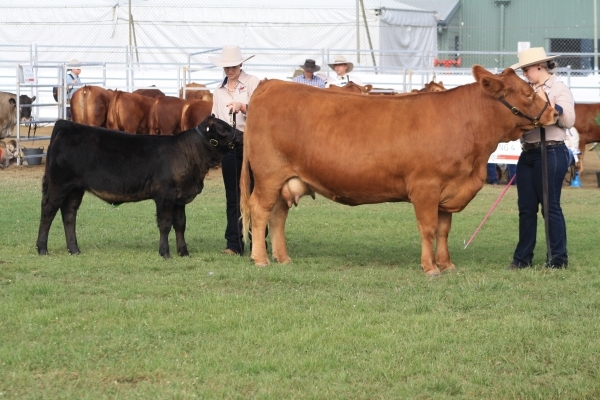 We performed well in classed of up to 12-13 head and were awarded the Junior Champion Heifer with Midas Sheraton M024. 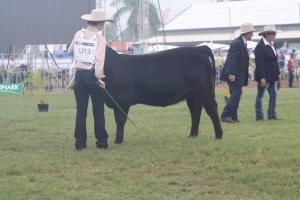 Gayndah was next and with Beef 2018 near at hand the classes were exceptionally large as all breeds wwre judged together. We took a small team mainly for the outing however they performed well without great success. Beef 2018 we took 8 head plus a calf and the results were fantastic. Midas Sheraton N11 took out the Calf Champion Heifer. Midas Windlass N002 came third in her class of 12-15 mths. 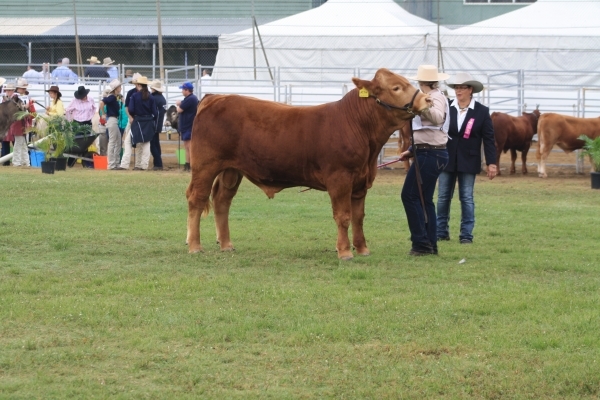 Midas Royla M36 won her class and the was awarded the Junior Champion Heifer. In the junior classes for the bulls Midas M74 and Midas M42 both won their respective classes but missed out on the major. In the Senior cow section Midas Sheraton M24 won her class and Midas Elsa M009 won her class and then the Senior Champion Cow. 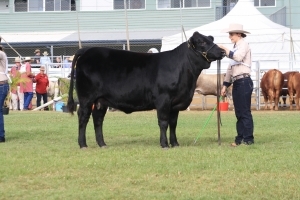 In the Senior bull section Midas Laramie L45 won his class and then the Senior Champion Bull. The next section was the Grand Champion Male and Female. As I had all the Female champions I was a shoe in -- Midas Elsa won the Grand Champion Cow. 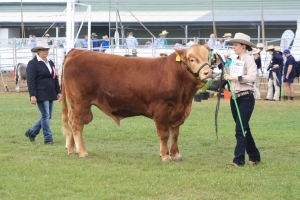 In the male section Midas Laramie L45 won the Grand Champion Bull. Midas also won the Breeders Group, Dam's Progeny and the Sires Progeny. 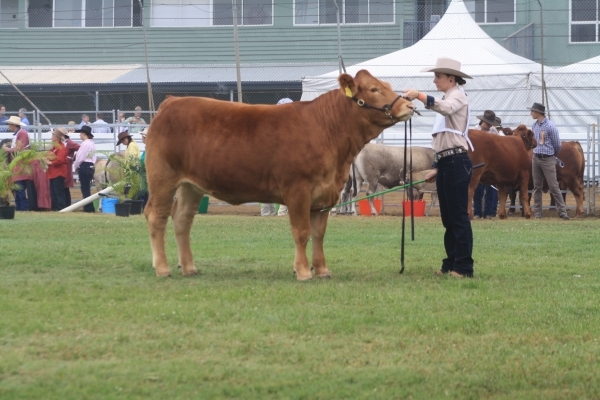 The EKKA was the mext show and our results were again very pleasing. The first off the rank was the females with Midas Sheraton N11 winning the 12-15mth class and Midas Windlass N02 winning the 16-20mth class. Midas Windlass N02 ended up with the Junior Champion Heifer with Midas Sheraton the Reserve Junior Heifer. The next classes for us was the Senior Female classes where Midas Sheraton M24 won her class 20-30 mths and Midas Elsa M09 second in the over 30mth class. 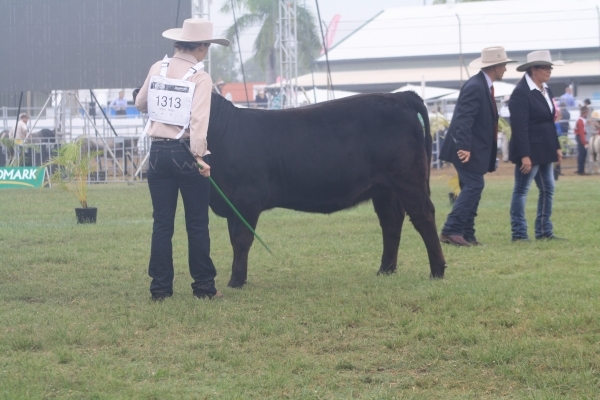 Midas Sheraton M24 then went on to win the Senior Champion Cow. Our only bull representative won his class 20-30mths and then Senior Champion Bull. Midas Sheraton M24 went on to win the Grand Champion Gelbvieh Female. Midas then won the Breeders Group.